At Oral Surgery Office (OSO), Dr. David Coates and Dr. Jason DeWitt expertly combine the latest oral and maxillofacial surgery techniques with extraordinarily compassionate care. 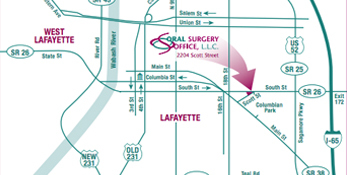 Our office, founded in 1950, has been treating generations of patients in the greater Lafayette area. We are committed to your care being as affordable, efficient, and as stress free as possible. When you meet the team headed by Drs. Coates and DeWitt, you’ll know immediately why patients choose OSO. It’s a top-down personal approach that ensures your peace of mind from from the very first visit to the lasting results. Studies have shown that almost 90% of people have at least one wisdom tooth. As speciality trained and Board Certified Oral and Maxillofacial Surgeons we are the experts in the diagnosis and management of wisdom teeth. 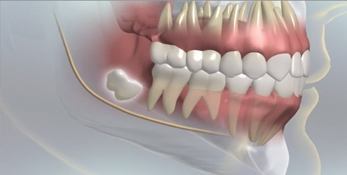 Dental implant surgery can be very complex and it is best performed by a qualified and highly trained surgeon. 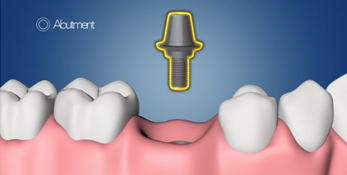 Dr. Coates and Dr. DeWitt have the knowledge and experience regarding successful placement of dental implants.